ProjectPartners are items to be used around the home. Easy to use by the Do-it-yourselfers to complete the projects at home or office. 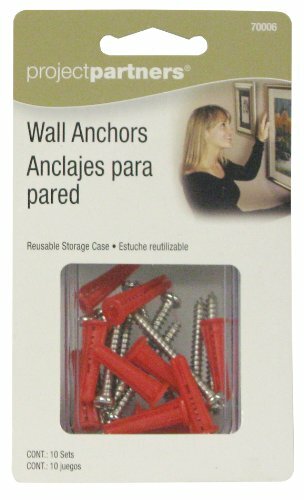 These are wall anchors to help secure the mounting. If you have any questions about this product by ProjectPartner, contact us by completing and submitting the form below. If you are looking for a specif part number, please include it with your message.